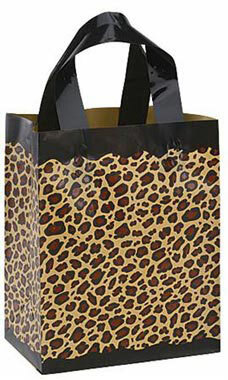 Leopard Print shopping bags are an ideal choice for those who want to take a walk on the wild side! A stylish packaging solution is a must for today’s boutiques and specialty shops. This bag is an ideal way to incorporate leopard animal print into your color palette. Each frosty bag is made of high density plastic for durability and features loop handles and a cardboard bottom insert.